You made a campaign promise to take a "back seat to no one" in protecting net neutrality. Millions are speaking out right now because net neutrality is being threatened, and we haven't heard from you! It's time to keep your promise, Mr. President, or you have lost the nation's trust. Tell Obama: "Keep your promise! Speak out in support of Title II net neutrality and demote Tom Wheeler if he won't do his job." Great! Now will you share this action? The situation couldn't be more urgent. How many of your friends can you get to sign this petition? Go! President Obama says he cares about net neutrality. We want proof. Watch the video to the left to hear what Barack Obama promised when he was a presidential candidate. Then sign the petition to tell him to keep his word and keep the Internet free. 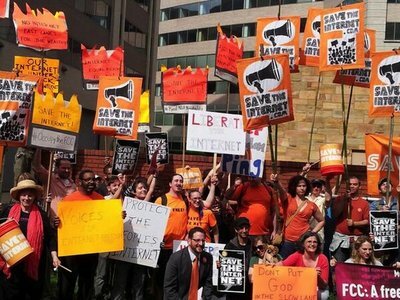 The entire world is talking about net neutrality right now, and more than 3.7 million people, tech companies, and advocacy groups have submitted comments to the FCC to weigh in on this critical issue that could decide the future of free speech. Despite the urgency of the situation, and the fact that the comments surveyed so far show that more than 99% of the public supports stronger net neutrality, we still haven't heard the kind of statements of support you'd expect from a candidate who promised so much on this issue. Hit the button below to tweet this video to Barack Obama and ask him to keep his promise to protect net neutrality. Obama has the power to protect net neutrality. Why won't he use it? Since he took office, president Obama has made a few vague statements about net neutrality. He says he supports the Open Internet, but then again so does Comcast. If Obama truly supports net neutrality, he has a clear path to get it: he needs to speak out right now in support of Title II reclassification, which is the only way to protect the openness of the net for the longterm. Obama maintains that the FCC is an independent agency and his hands are tied. That's just not true. Obama appointed FCC Chairman Tom Wheeler, the "dingo" who has proposed rules that would destroy net neutrality -- and he has the power to fire him. Obama could demote Tom Wheeler as chair of the FCC and promote one of the other commissioners who are actually willing to stand up for net neutrality by using Title II to prevent cable companies from selling off the Internet to the highest bidders. 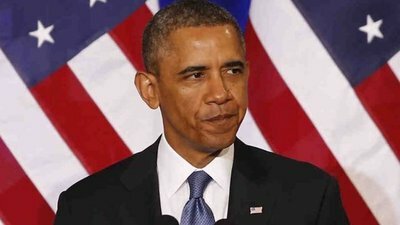 President Obama, it's time to decide: do you want to go down in history as the President who promised to protect the Internet and then did nothing -- or the President who kept his word, did his job, and took a stand to keep the Internet free and open for generations to come?